يشكل فندق فور سيزونز سيدني بموقعه الممتاز في المدينة نقطة انطلاق جيدة لاستكشاف أفضل ما فيها من معالم ومناطق نابضة بالحياة. يقع مركز المدينة المثير على بعد 0 km فقط. سوف يعشق النزلاء موقع هذا الفندق، فهو قريب من أهم المعالم السياحية في المدينة . يمكن للنزلاء الاختيار من ضمن مجموعة من الغرف المصممة بعناية لتعكس جواً من الراحة، والتي يتجاوز عددها 531. يقدم الفندق مجموعة واسعة من وسائل الراحة المتنوعة، كمثل: مركز للياقة البدنية, ساونا, حمام سباحة خارجي, سبا, تدليك. إن كنت تتطلع إلى إقامة مريحة وهادئة في المدينة، فستجد في فندق فور سيزونز سيدني بيتك الثاني. يُرجى الاتصال بالفندق مباشرةً إذا كانت لديك أي طلبات خاصة. يمكن الترتيب لمواعيد الانتقالات من وإلى المطار والطلبات الخاصة الأخرى من خلال الاتصال بالفندق مباشرةً؛ حيث إن الطلب المقدم عن طريق أجودا غير مؤكد. يُرجى الاتصال بالفندق مباشرةً إذا كانت لديك طلبات خاصة. لقد تغير طريق الوصول إلى المنطقة المحيطة بالعقار وفي منطقة الأعمال المركزية بسبب أعمال إغلاق الطرق المرتبطة بمشروع "السكك الحديدية الخفيفة" في شارع "جورج ستريت". على النزلاء الاحتياط بمراعاة وجود وقت إضافي للانتقال إلى المطار في يوم المغادرة أو إلى وجهتهم التالية. infront of circularkey, beatiful landscape you can see both harbour bridge and operabiuse at once, your room highly recommend!! Its a good location and the staffs are very friendly. It,s quite pricy but maybe its because of new year. The gym quite small not many choice of restaurant. Nice Grain bar. We stay in sinle room for 3 nights for conference, then change to double room to stay behind for 2 nights with my friends. The double room is much much better than single room. View is nice facing opera house. Size is large with a double sofa. Two double bads. Large cganging room and both room. The price booking from Agoda (double room) is much much cheaper then corporate rate for the single room. The friendliness and the professionality of the staff; from the bellmen, reception, housekeeping, restaurant staff. 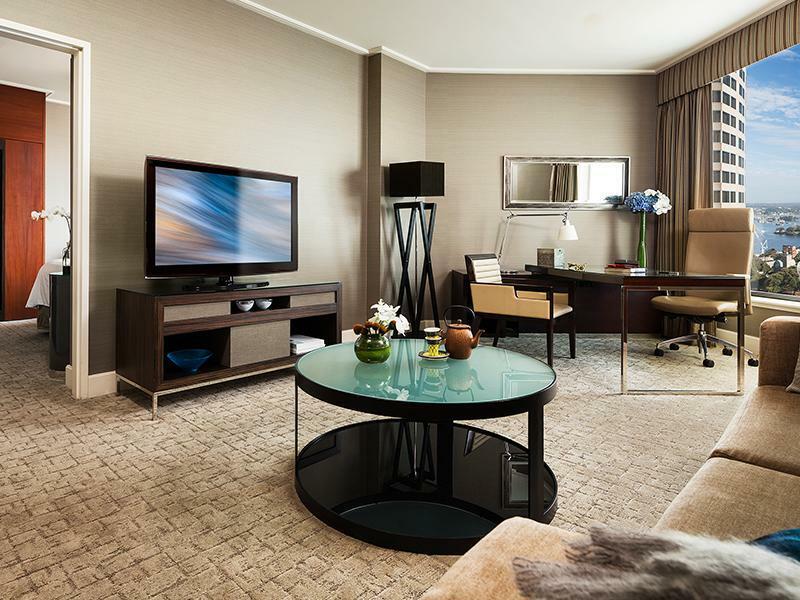 The room is very comfortable, not forgetting to mention the luxury it provides. The bathroom amenities are wonderful; the hotel picks an excellent choice for that. bad choice due to ongoing road works on George street, made leaving and going back to hotel a nightmare. also parking prices are ridiculous and cant even stop for more than 2 mins, which in my opinion is ridiculous. We needed to check in early after a very long flight and Alex was kind enough to provide us our room 1 hour before the checkin time. Alex, even mentioned he tried giving us the best view possible under our club room reservation. And my oh my what a view looking directly at the Opera house! Thanks a lot Alex, we will cherish the memory. During our evening drinks and snacks we had the pleasure of meeting Lorena and Polina, these two were just amazing with their professional yet most friendly attitude making my wife and I feel the most comfortable that we could. We were so happy that we used to look forward to seeing them everyday for our breakfast and evening club access. I look forward to coming back and will make sure we take the club room because of these two. Kent is an awesome chef at the lounge who prepared our breakfast just the way we wanted. Now Jorge (concierge) , he is a person who can make things happen. From renting our hummer limo to all touristic tours were handled/advised by Jorge. I don't think our trip would have been the same without Jorge's help. He is simply an amazing person. Four seasons has a reputation to live up to because of the name, but honestly, I feel the people who work at this hotel take it to another level which is unbeatable by any other hotel. We are already looking forward to coming back. Very very relaxing! 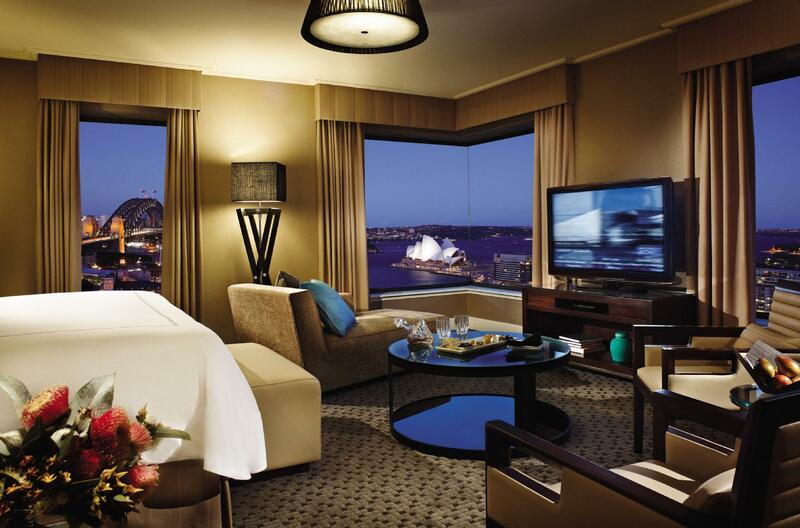 This is the second time my wife and I stayed in Four Seasons Sydney. The first time was almost three years ago, when we were not yet married. This time, our stay was more relaxing. We found the bed so comfortable. The room is a bit small as to our standards, yet the overall feel was very good. The management gave us, as a bonus, a bottle of sparkling to celebrate our anniversary. The location is on point, near circular quay if one wishes to go to Taronga or to Manley Wharf. It is likewise near the Rocks, Harbourbridge and the Opera House. It is also near the train and the bus stops to the CBD. Four Seasons Hotel Sydney has a satisfying array of breakfast items. I would like to try their room-service next time. Thanks Four Seasons! 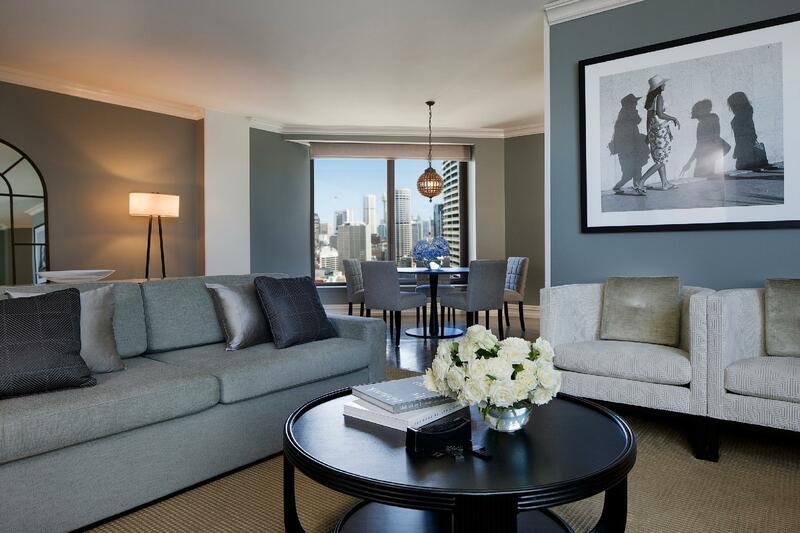 Great location near the rocks / circular quay. We stayed in the premier room and it was very spacious. We arrived there at 7.30am and they gave us early check in which is very handy after an overnight flight with a young toddler! They even gave my very tired daughter a little koala doll and it cheered her up. Very quick check-in/check-out. Highly recommended. Everything is good, location, services, clealiness, comfortable room, great view, amenities, facilities. Fast check in & check out. Located at george street, circular quay, centre of the city. Very close to main attractions (opera house, harbour bridge, the rocks, botanical garden) u just can walk less than 10 minutes from hotel. Very easy to get taxi and bus. Circular Quay is the main place to get hop on hop off bus or cruise to explore the sydney city ! 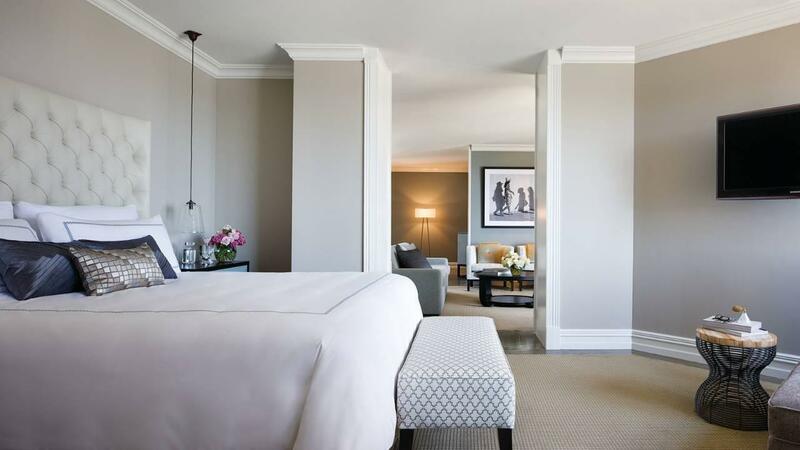 I enjoyed the stay in Four Seasons Hotel Sydney very much. Thumbs up for the comfort, service and location. It was a birthday surprise for my partner and surprisingly there is a complimentary birthday cake delivered to our room without any charges. It was a shock for us indeed. Anyway, I would like to thank Four Seasons Hotel Sydney personally for giving such a good service. We are truly honored to stay in this hotel. Hotel room is comfortable and no critics at all definitely. I would give a rating of 10/10. I am thankful for the service given. I also enjoy a lot with the room service - breakfast. Food tasted good, service was awesome. Thank you so much! I will be back again for sure!!! The restaurant, Pei, is great. The food was beyond expectation. The service here is great. Every staff is willing to help you. 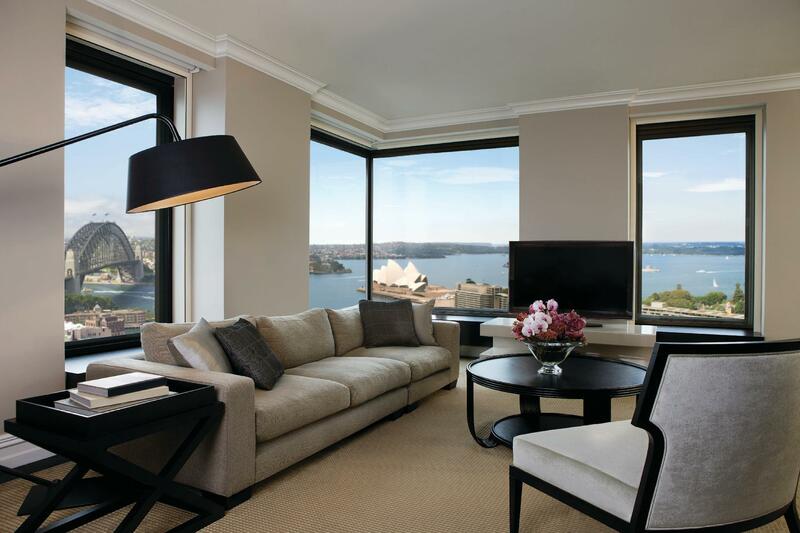 The hotel is very close to Circular Quay and close to many good restaurants. We had a comfortable stay at the hotel. We'll definitely go back to stay at Four Seasons. From the point of checking to check out the staff were so helpful. I had a great quality room which you would expect of this type of hotel and it did not disappoint. The hotel is located excellently for business daytime meetings and also for evening entertaining. Time was of great importance this visit and staff ensured that I knew where I was going for all my appointments. Super place to stay when going on holiday, Standard service who we are looking forward to seeing, Surely re-stay when revisiting HK. This is Four Season having been maintaining in the standard of qualities service in grouping hospitalities. I had very good stay during our days. There are very good view in the room. Was in Sydney for just one night... needed an early check-in to freshen up after a red-eye and was pleasantly surprised that rooms were made available... some hotels stick to their 2pm check in rule.. the rooms were well appointed, good sized... too bad I did not really had time to enjoy the city/harbor view location was fantastic.... right next to the Rocks... so food was never an issue... and walking/jogging distance to the Sydney Opera House and Harbour Bridge for those who want to take in some sights and air. Would definitely look out for a great deal at the hotel for my next trip.